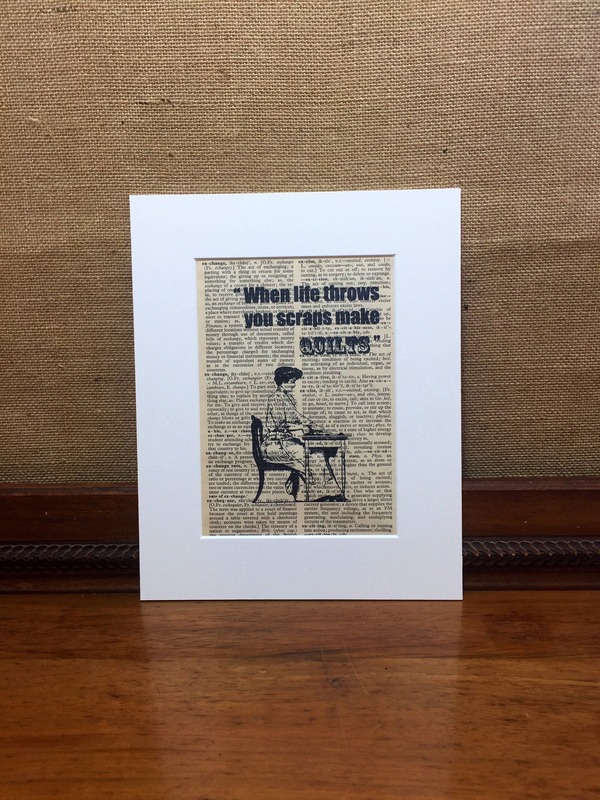 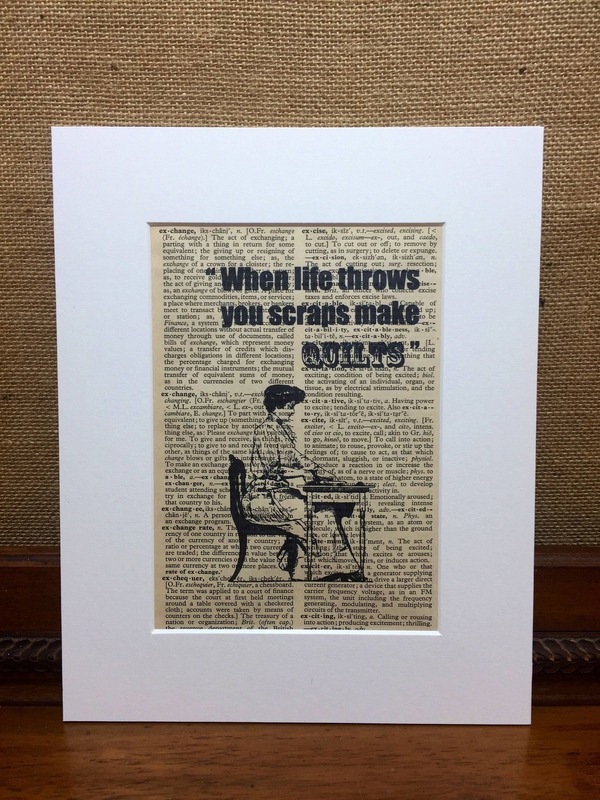 A mounted vintage inspired design, printed on an old dictionary book page, depicting a victorian lady sitting at her sewing machine, making quilts. 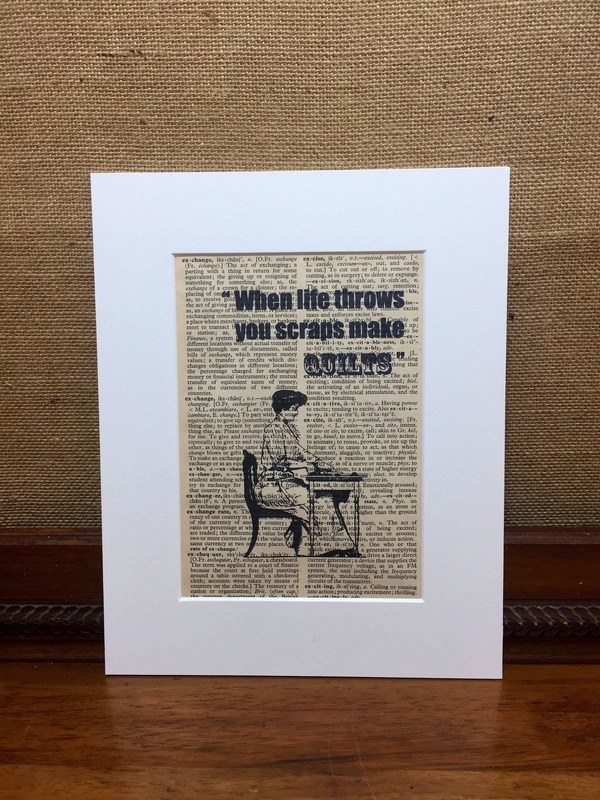 A wonderful print that will inspire your passion to quilt, sew or craft and perfect for the craft room wall, lounge, living or dining room of any sewing enthusiast. 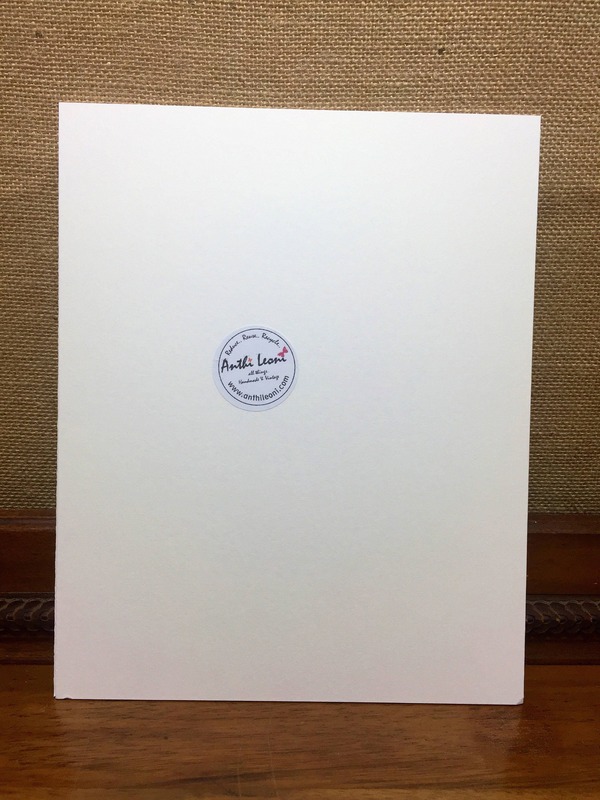 Each print is mounted on ivory textured mount card and backing board and placed in a clear self seal cellophane gift bag. 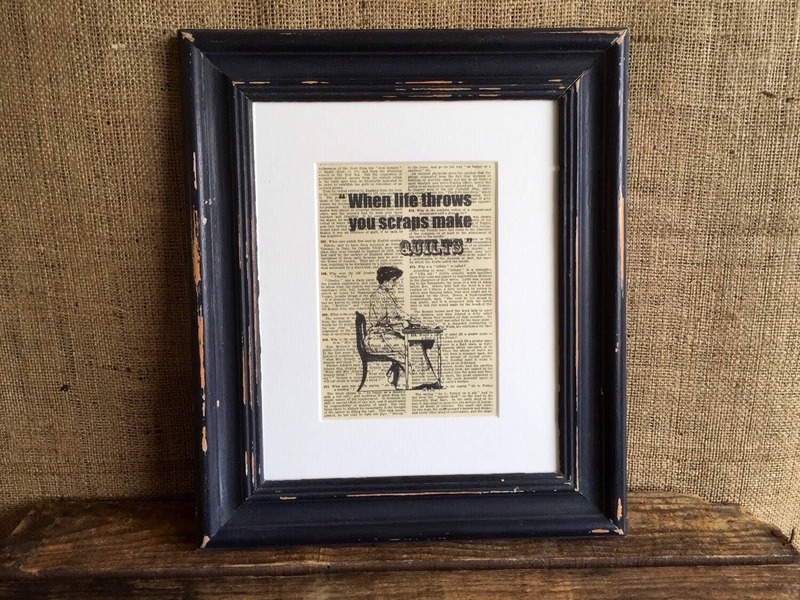 Your print will be posted in a card backed do not bend stamped brown envelope.